Positive update from a last-minute effort last night. 1. Pop bumper switch confirmed not working. Coil works though. 2. It's no longer stuck on switch 9. 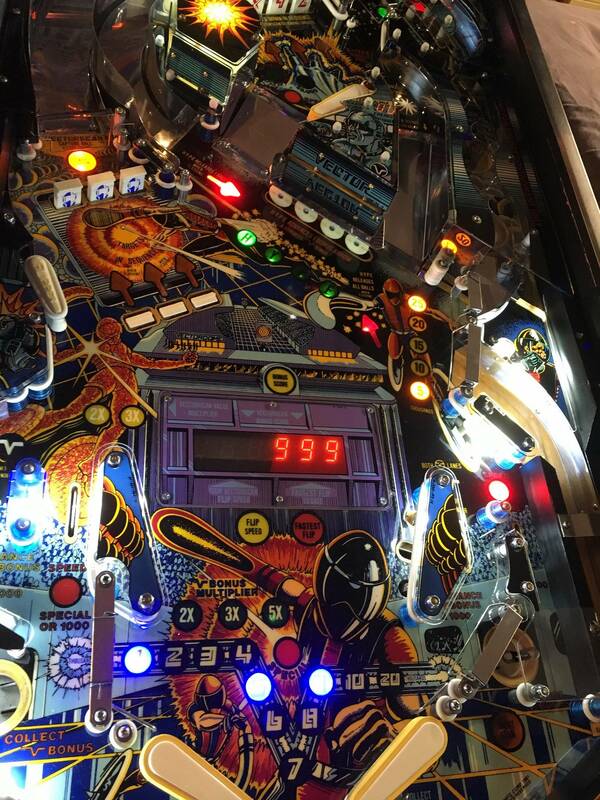 Switch 9 is one of the coin switches. It was part of the wiring in the homemade coin-adder button. As soon as I un-soldered all the wires put in there, it finally went idle on the stuck switch mode. 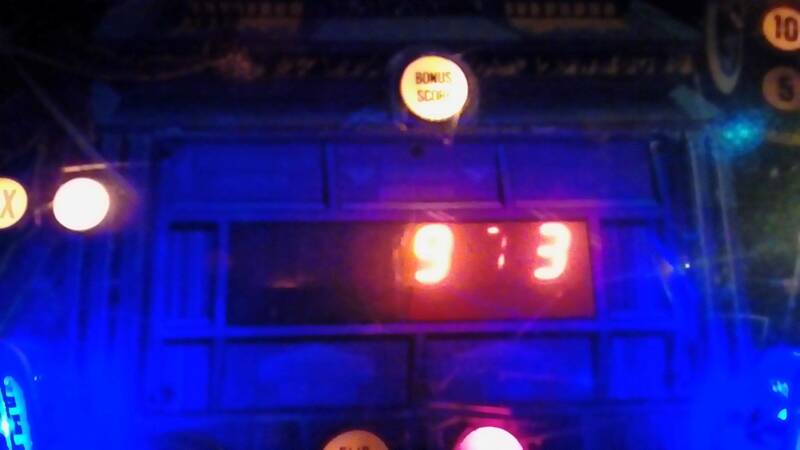 Before, it was always blinking 9, sometimes blinding it to other switches on the field. 3. Drop target sets smoothed out correctly. What's weird is one of the DT's switches(48?) pulses much slower than all the other switches. Every 1.5 seconds or so. Any other switch does it at a faster pace. 4. Correctly identified all the wires for all 3 coin switches. Only have a switch for 1, but can work with that. Would rather just flick the coin switch in the door than hit the button which was a bit overdone with wiring. This just might get the game to behave a bit better. 1. Ball trough switch(#1) is rather finnicky. Sticks or doesn't register at all. 2. Pop bumper switch, despite everything I tried, not working. 3. Rearmost defender DT set not popping upward on reset. Time to loosen it up a bit. Makes game progression impossible. Found out the cause of the non-resetting drop targets: Too strong of springs. the XYZ targets that used to not reset, now reset fine. Hand-resetting them takes little effort. The defender targets take a bit more effort, beyond the capability of the coil. Time to find some softer alternatives. 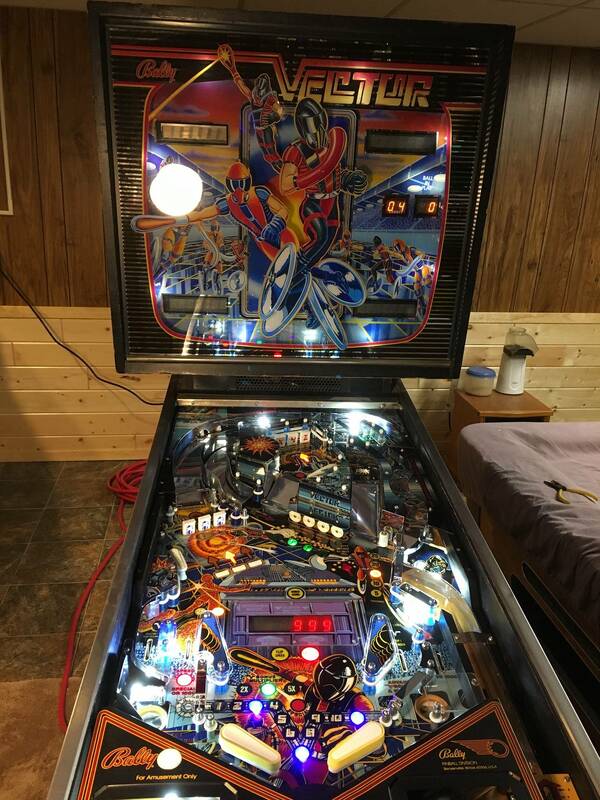 Swapped out the super-strong spring(which was new) to a flipper, swapped in a used spring, and all drop targets reset nice. Game actually progresses now. Re-seated GI light in back. This thing is coming along nicely. 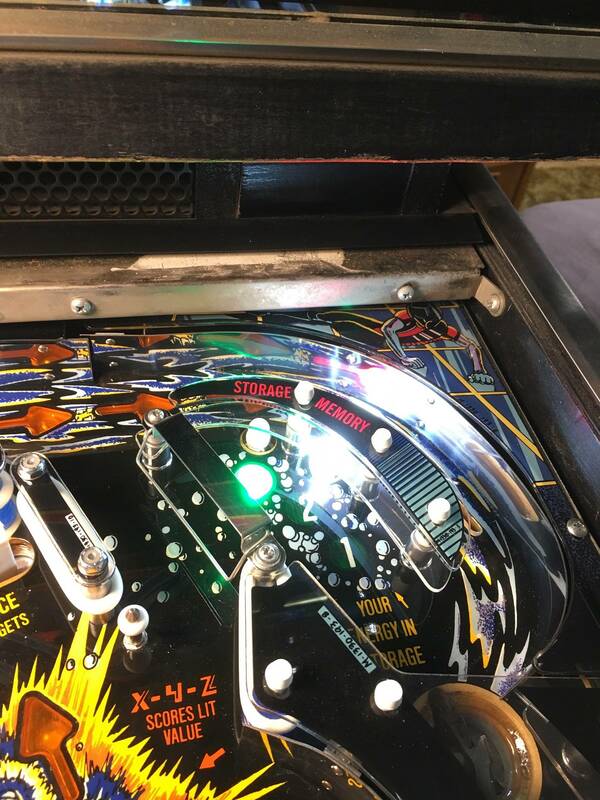 Finally fixed that tricky switch for the lastmost ball trough switch. If that switch doesn't work, the game doesn't start. Cleaned the contacts with alcohol first, then did a bit of creative tab bending and...it works! Game starts each time(fires off the coil). Onward to finding out why the backbox light cluster doesn't work. I'm seeing a lot of straight-through crimped connectors to the lighting, so I'm guessing that's a factor. Otherwise, checking the continuity of the stapled-on wire seems okay. Well, I'm not technically a member, but maybe I can be considered an honorary member with this. This vector belongs to a good friend of mine; Dozer1. I did all the touch ups and clear coating as well as some board work. Dozer1 did everything with the rest of the game. It's no HEP job, but I'm very happy with the results. Thanks to Vid for all the guides! 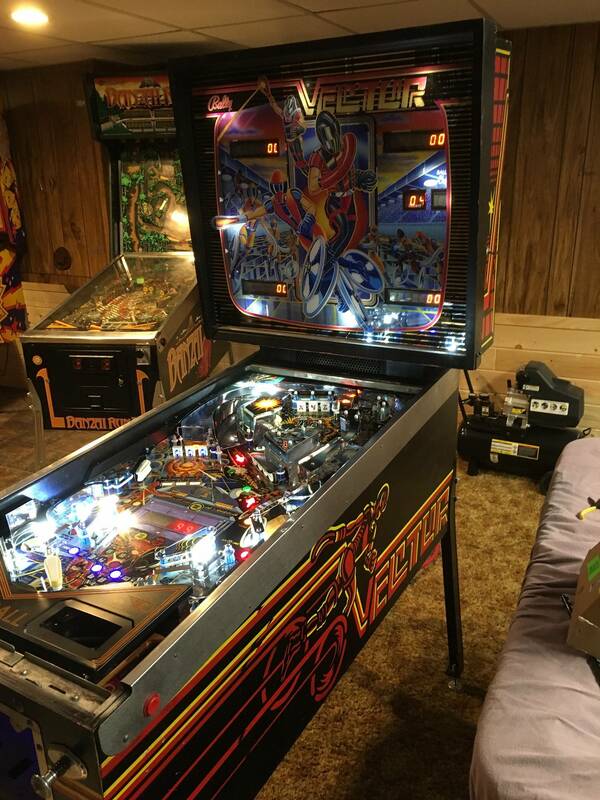 His knowledge was very useful in both the playfield restoration and board bulletproofing. Looking for a Vector Head. I have all boards displays etc, the head was damaged during a move. This thread needs a bump and can't die, not time to hit the showers yet! 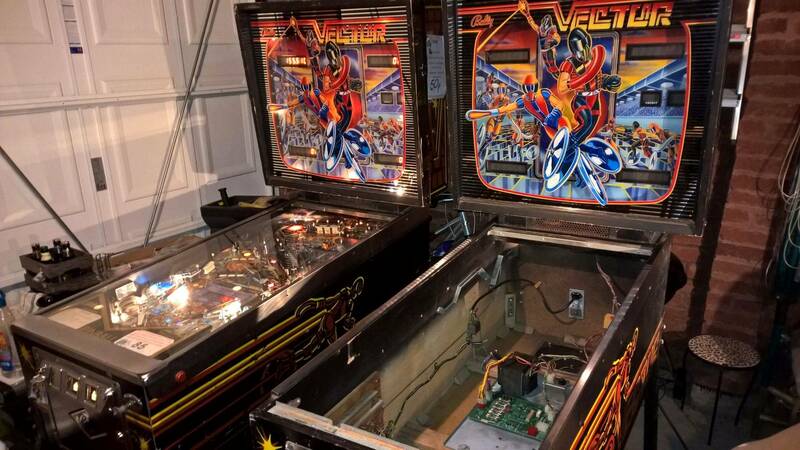 Where can I get the Vector 2.0 roms? I don't make roms yet. I need to buy them. I have been looking around, this 2.0 may have been updated to? I helped Oliver with the rules a bit - he was making home roms for other games and I thought it would be cool to reprogram Vector to utilize many of its unused speech calls in memory. I mean, press the little red button on the S&T and you will see what I mean. The game is packed with speech calls. Agreed with Vid, its an awesome game with lots to offer to the player. 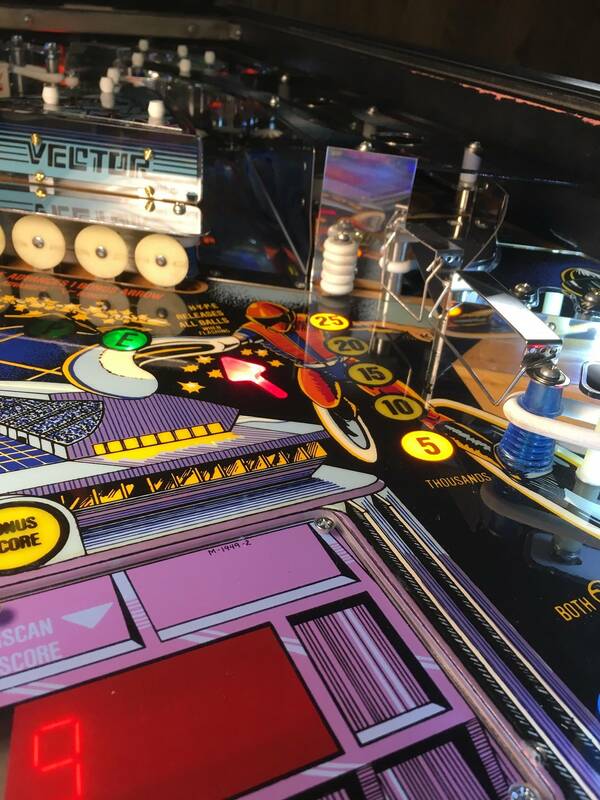 My favorite shots during multiball (which I would consider a "jackpot") is to *try* to shoot two balls up the vectorscan ramp and try to maximize the speed to >900.. how ? .. 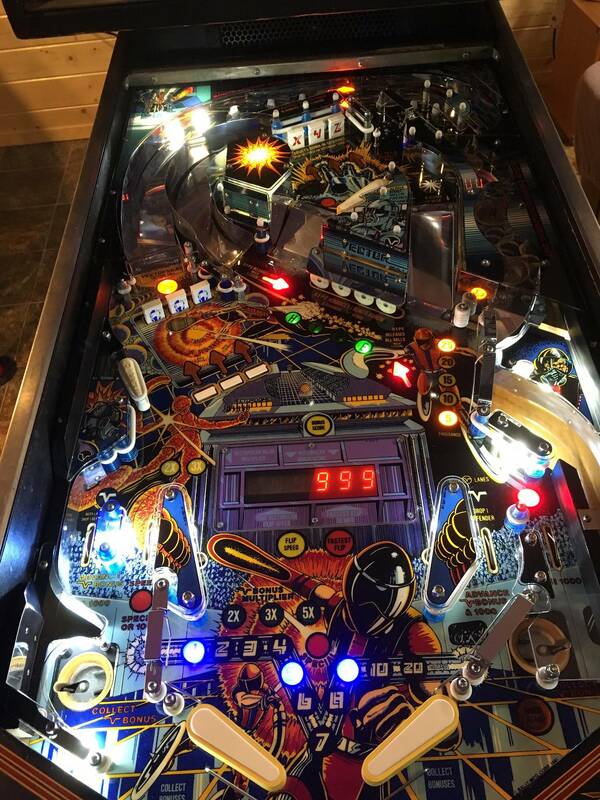 Your goal is for the first launched ball to roll over the switch at the end, just after the second launched ball rolls under the switch at the start. I just joined the club last night. 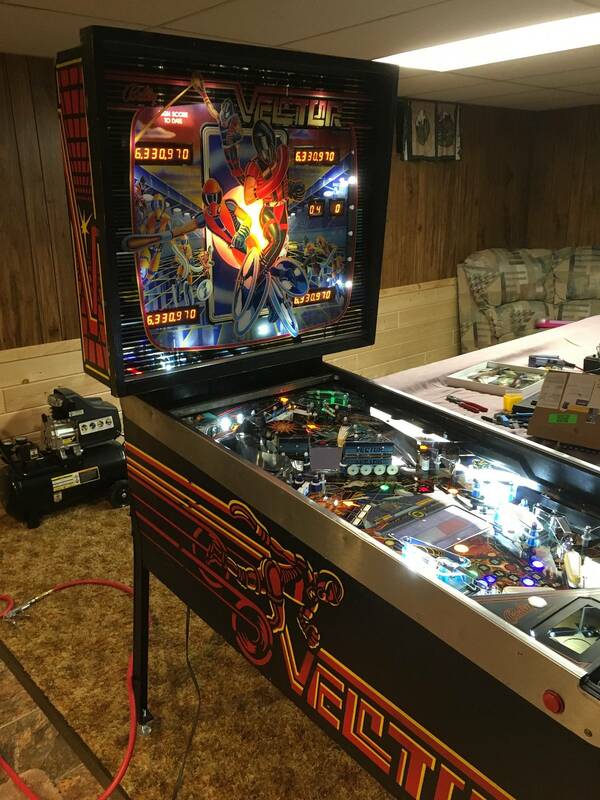 My vector has an excellent cab and BG. 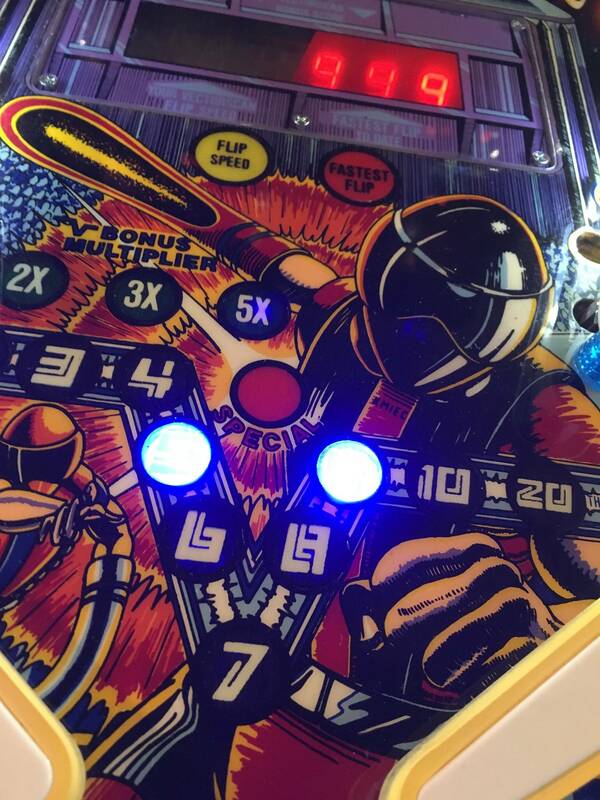 the playfield has a little wear above the window and out of the shooter lane. I'm looking forward to getting this playing. I am looking for a shooter assembly. Mine is missing. I can order the arm from shapeways if I can find the rest of it. 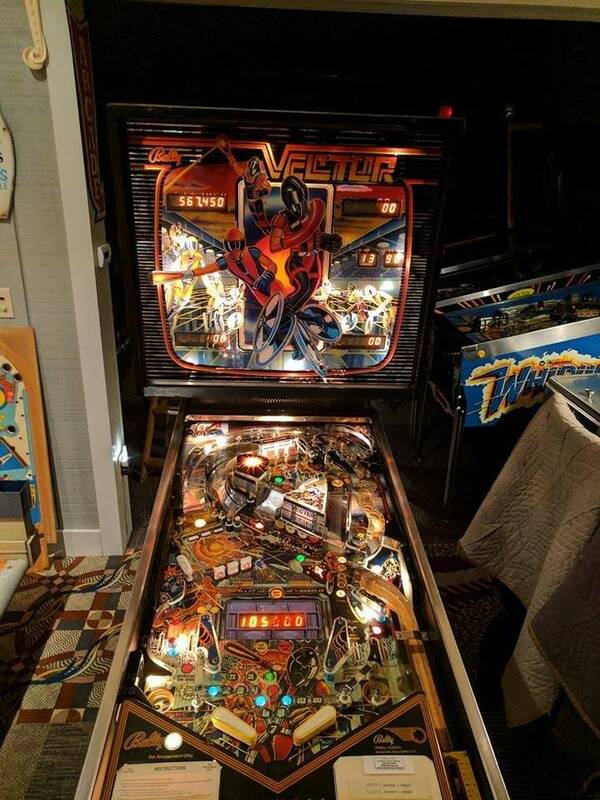 I picked a Vector up a few weeks ago that was non working. Got all the issues sorted out and working 100%. 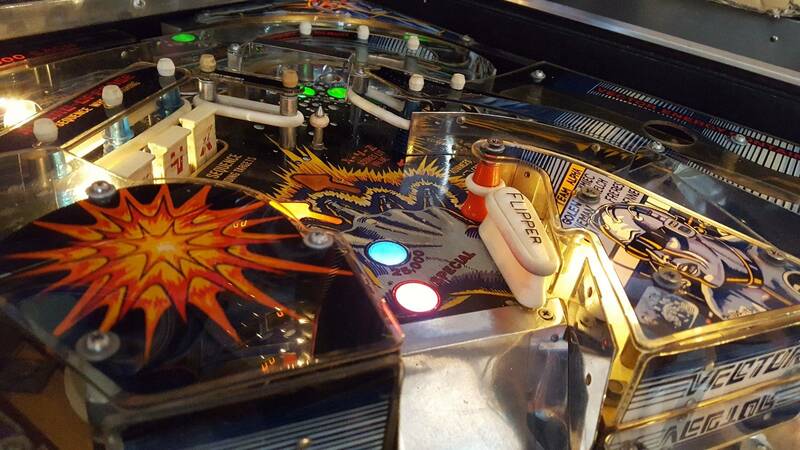 Too bad the playfield is such a mess...a bit too much wear for my tastes. Anyways, after getting things finished up I played a few test games. 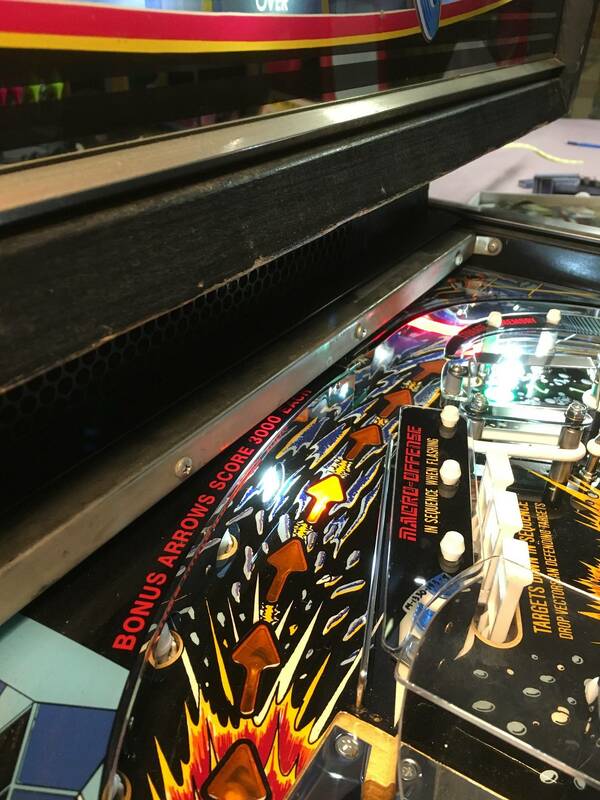 An air-ball landed on top of the plastic and got wedged between the plastic and glass. That happens on mine all the time. By the way, have you noticed what is on the TV on that plastic ? Congrats Cheddar! 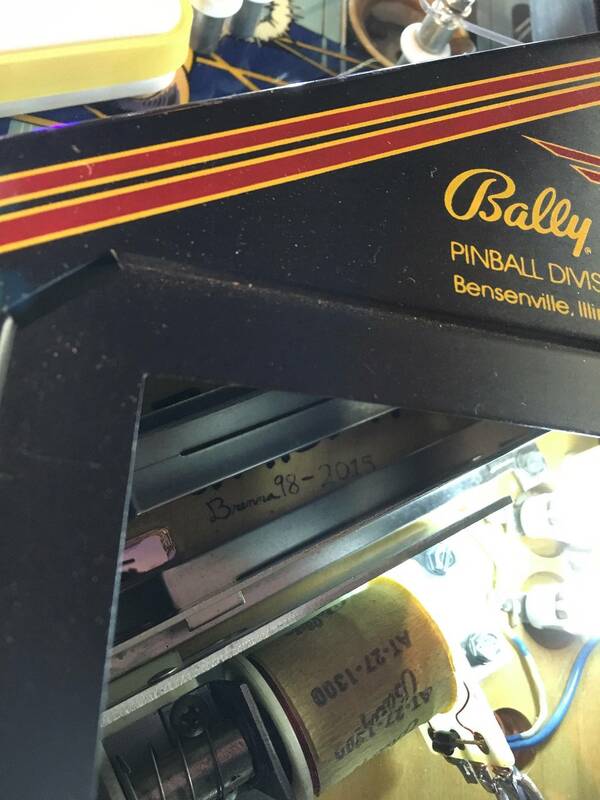 Awesome pin, one of the best older Bally titles. Few posts up I asked about the modified game code 2.0. I may have the name wrong. I don't burn roms...yet, looked into rom burner but really no need for one project. How can I buy this home rom addition if I read this correctly. Vid, thanks for the link above, but does me no good. Don't know how to do that. Can I just buy them from someone? 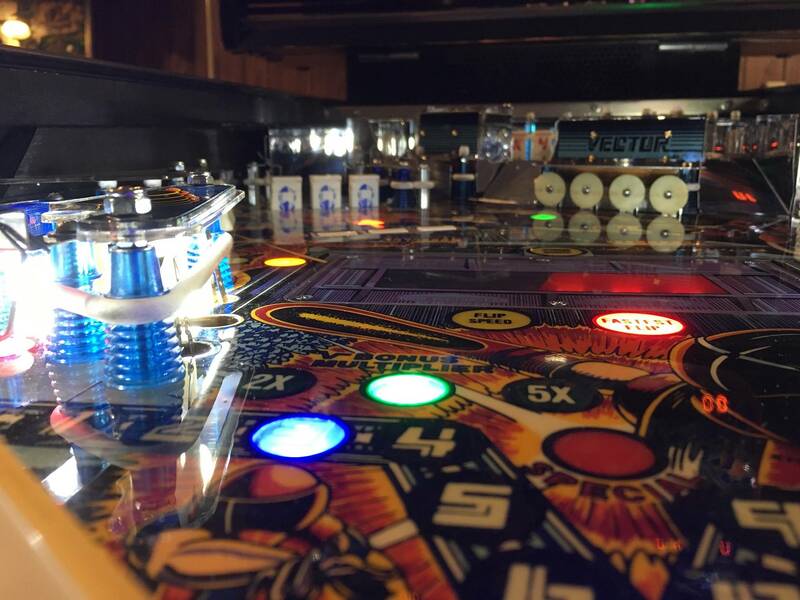 Any joint that sells Pinball ROMs can make those for you. 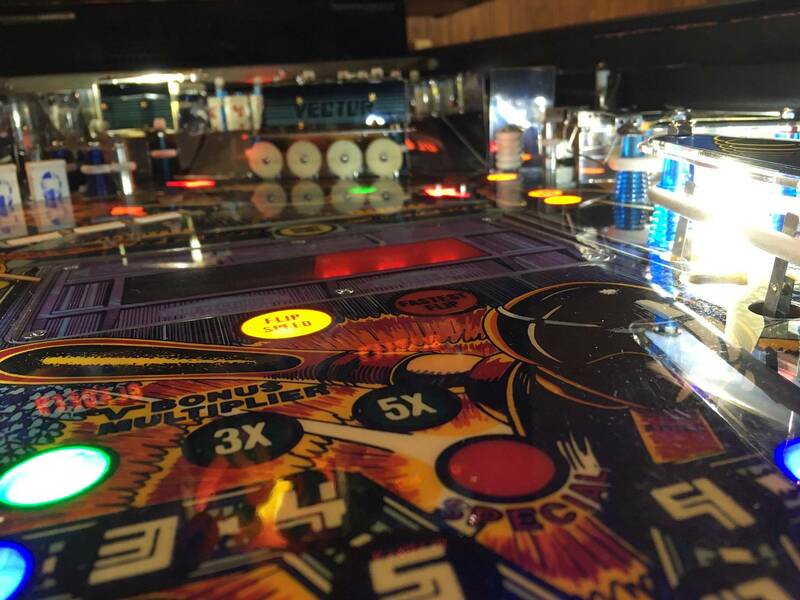 If you are in the Orange County Pinball League, I'm sure someone there will burn them for you. 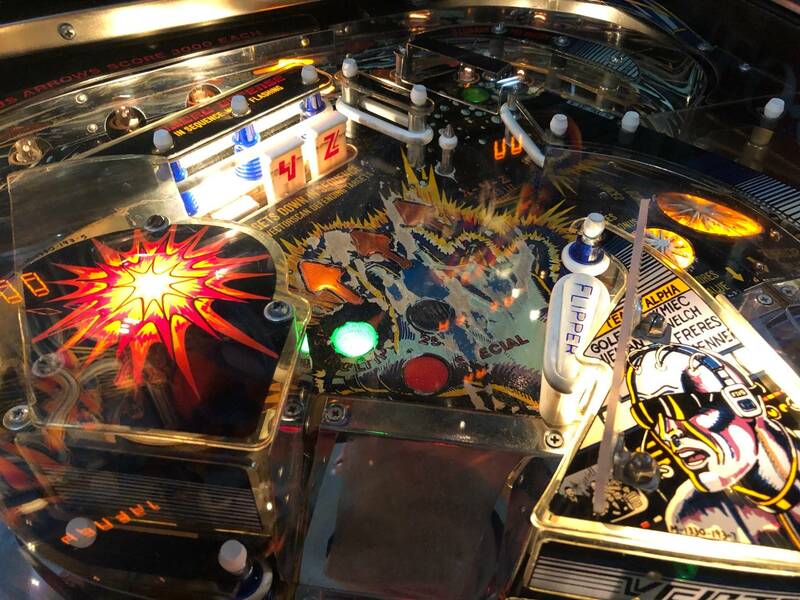 An air-ball landed on top of the plastic and got wedged between the plastic and glass. That was an inherent problem with the game. between the glass and plastic. that were used on Gottlieb Haunted House. to take up the air gap. Vid- Thanks, your right. I am in OC League. I do know a few guys. Bill Ung might be able to hook me up. I hope to host league later this year. 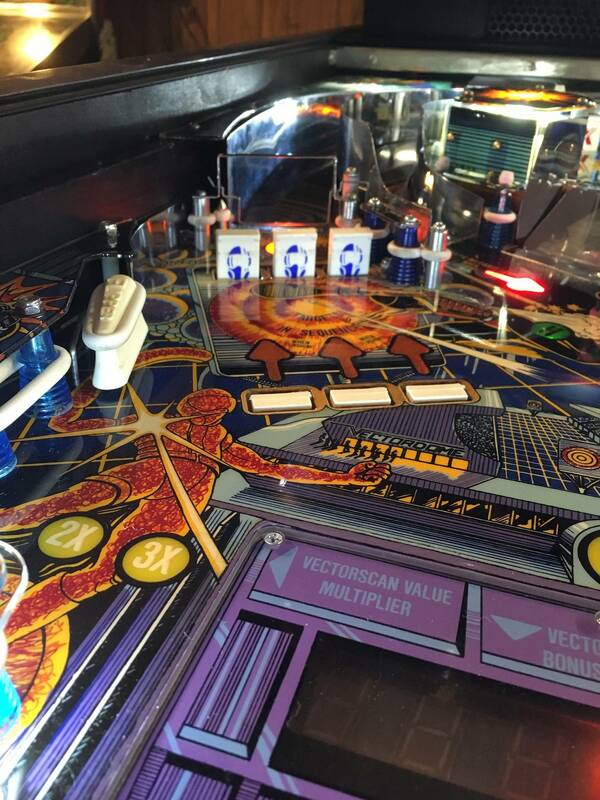 Everyone will love playing the improved version of Vector! What does version 2.0 do to improve the game? Where can this be down loaded? Quoted from Madmax541:Where can this be down loaded? The taste of things to come ! 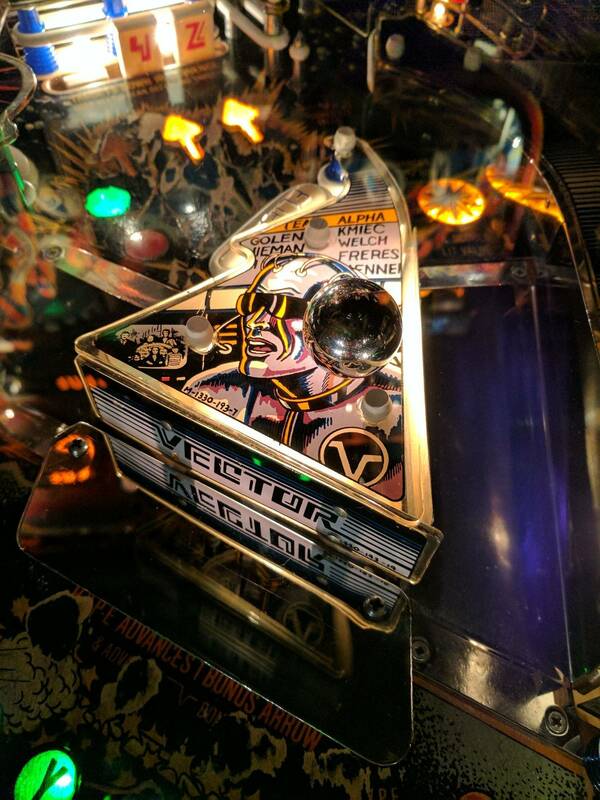 New Vector ROMs! Very cool. Gonna have to get a set. Anybody have spare plastics? I could use a few. Any in particular Cheddar? I would give ya all I have of my old set for the shipping. I recall need the big upper left plastic. Broken is fine , mine is gone. The vector plastic is chipped to. If you ship me the set I'll pay it forward. forceflow found 2 on eBay. They were labeled kickers and not outhole assemblies. Yeah, well that one was pretty broken up on mine and I had thrown that one out. I am sure you know CPR reproduction ones are available. Consider that route. They are beautiful and non yellowed. You will be glad you did. I do have the VECTOR plastic m-1330-193-19 if you need it though. Could mail that one easily. PM address if you need it. Let me look over (closely ) and verify those are the only ones I need. Hi all. 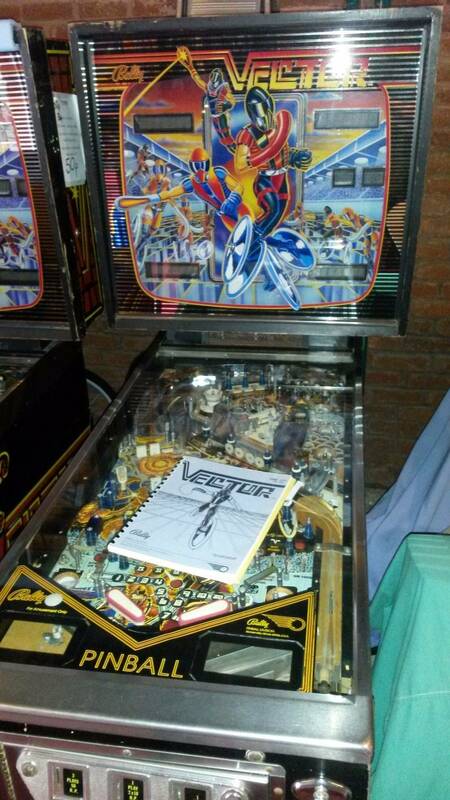 Love me a bit of Vector. 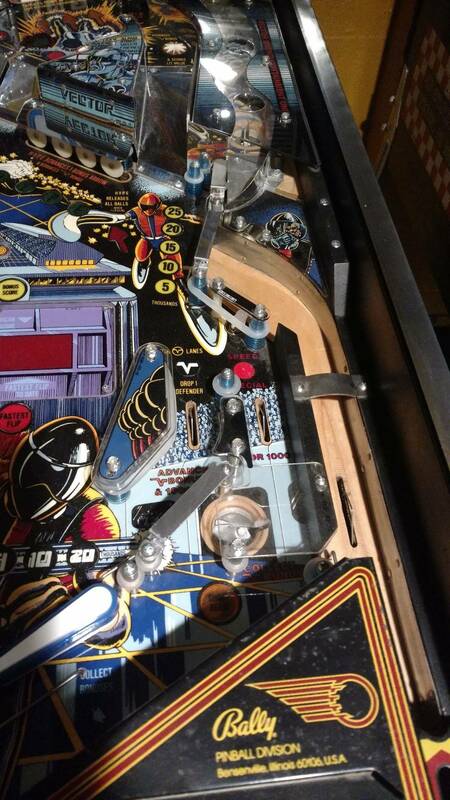 I got a basket case project and luckily a pinball buddy lent me a working one for reference. Here's a couple of pics. Has been slow progress but I have most bits collected now. Hello Vector owners. I'm still looking for a better Vector picture for my Kmiec Red Post web page. 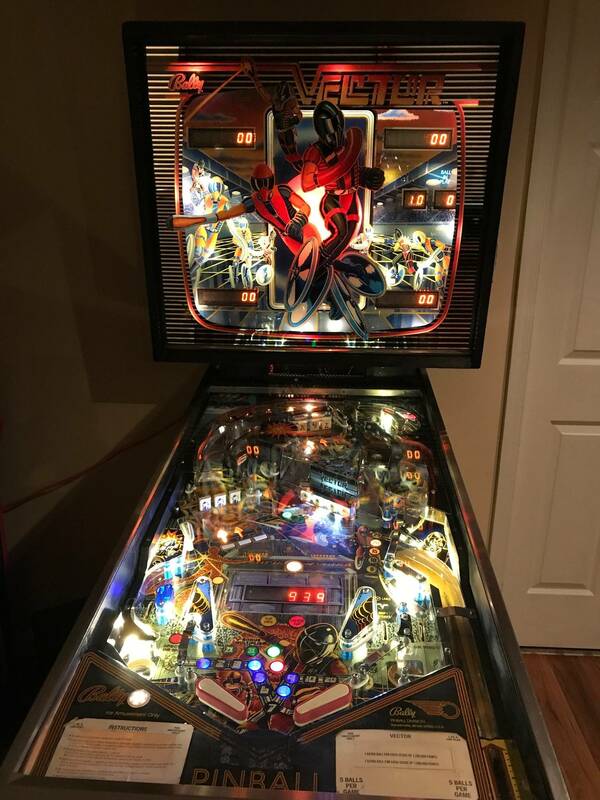 Looking for a good picture showing both the red post and the correct upper flipper arrangement. Does the back box latch the pinside part banner show on here a fit? I need to find one, as the bb door flies open when I play. Heh. I don't have my vector anymore to check but it looks the same to me. There was a nice one for sale at Allentown last year. Wish I brought it home with me. Fun, challenging game. Patience paid off. I'm picking up a nice Vector tonight. Finally. Yep, that's correct in picture. 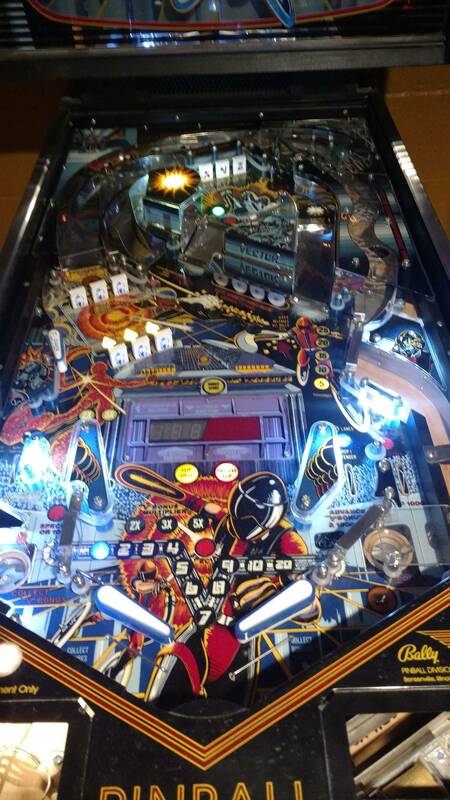 Those wires always dont look right to register balls in through, but thats it. Sorry no pic, but i was under apron earlier in week and mine looked just like that. The first one between flippers is always the problem child. Bend a little, few mm towards shooter lane watching the switch. Should help for a least 100 games, then it will need it again. Hey everyone!! Just joined the club. Still putting this one back together and dialing it in. Few test games has airballs all over the place. Does everyone have the coils they have in the manual? Seems like way overkill. I guess I need to change that one to a mini, but still. 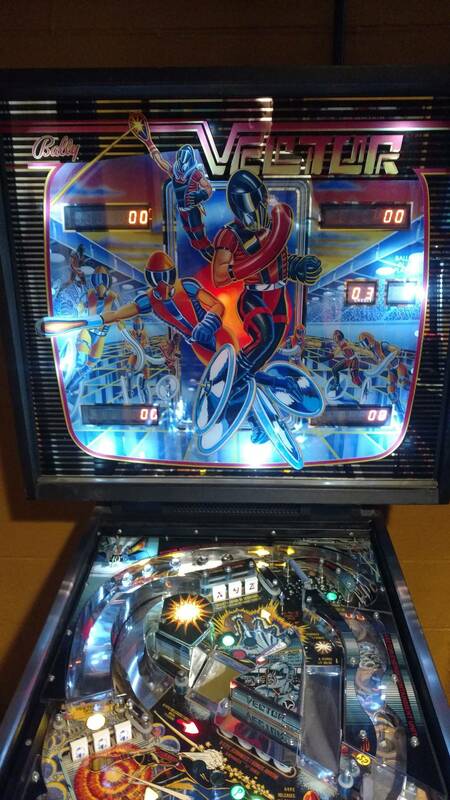 When I had this game, the upper left flipper and the flipper on the upper playfield were the smaller style flippers. I remember adjusting the EOS on them so they opened right away to cut the power on them. 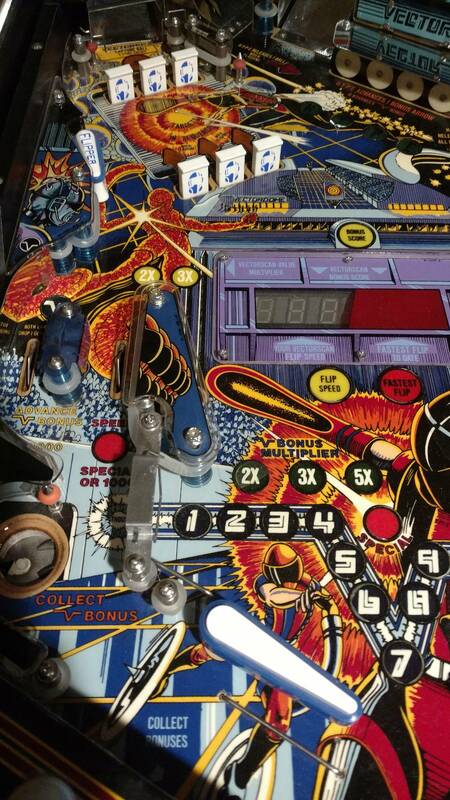 That upper left flipper I always had issues with hitting that metal ramp and the ball going airborne. 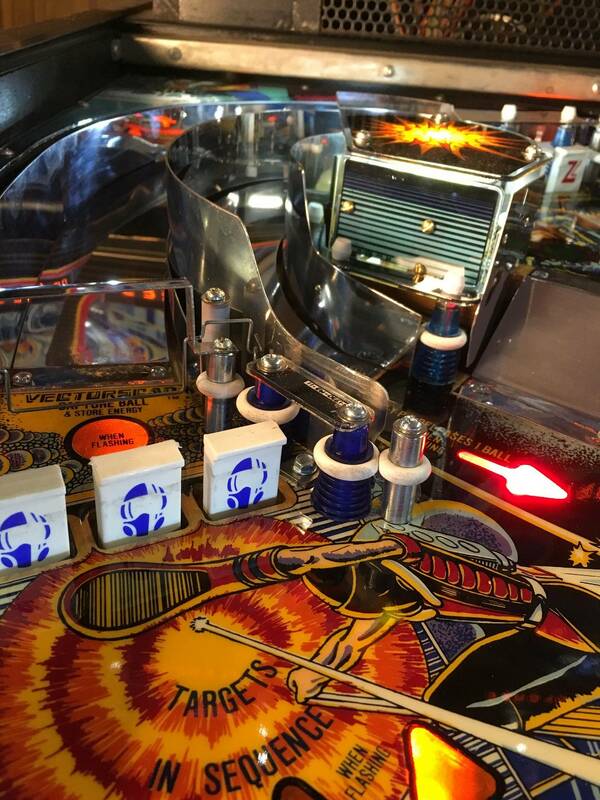 It would always land on the flat plastic between the two ramps and get wedged against the glass. 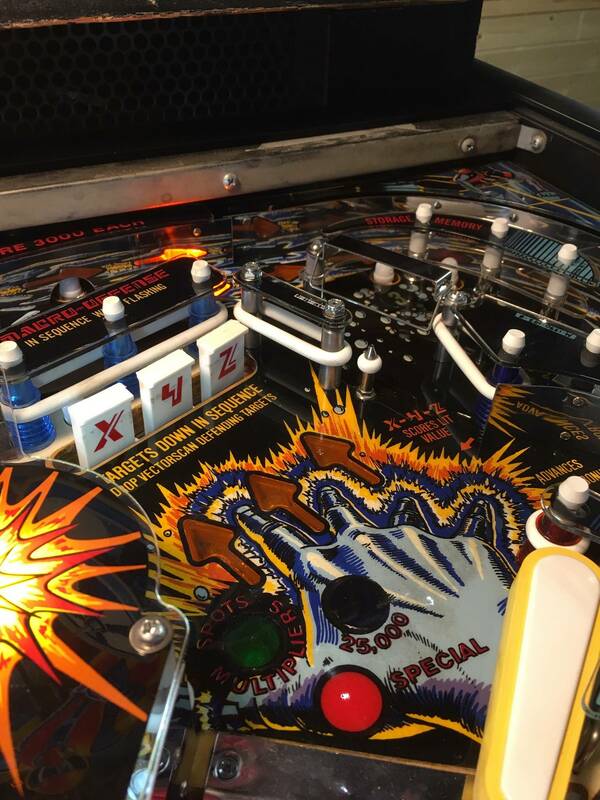 I had to make a clear plastic deflector to keeps balls from getting stuck on that. 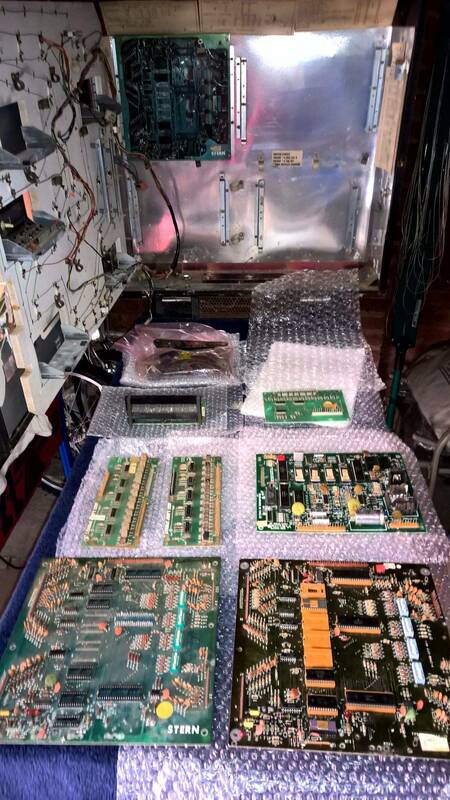 The upper left for me is a olderstyle bally flipper mech (looks like what they used in EMs). 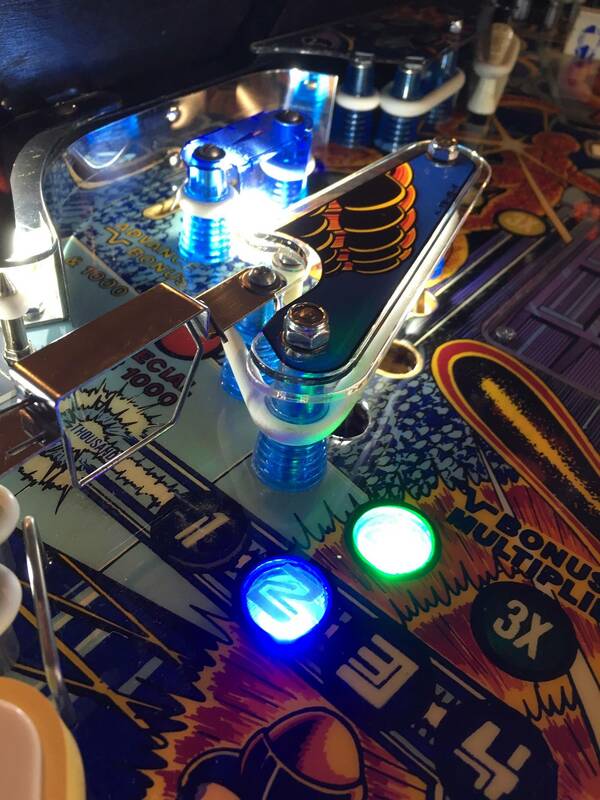 Then the upper flipper next to the three drops looks like standard linear flipper setup. 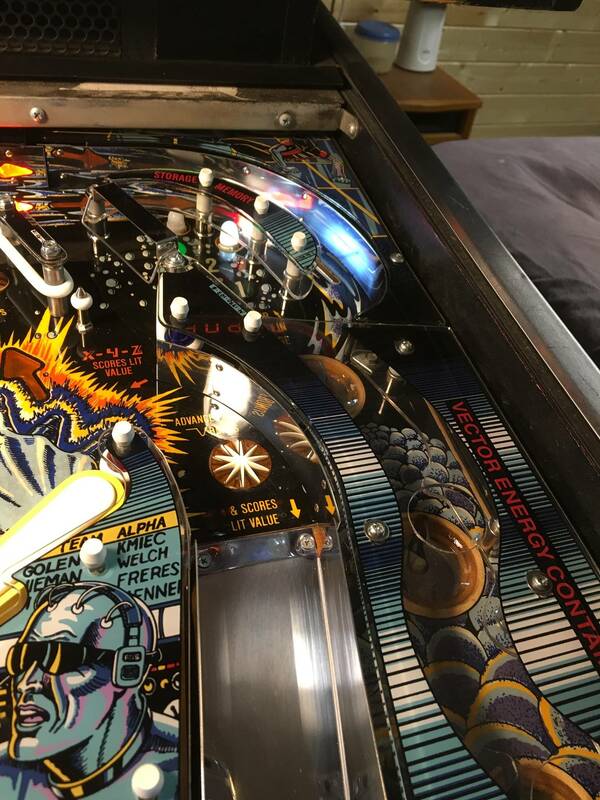 A buddy mentioned there’s a resistor that supposed to be in line with that upper flipper in the upper playfield that helps reduce the power. Haven’t looked into that much yet though. 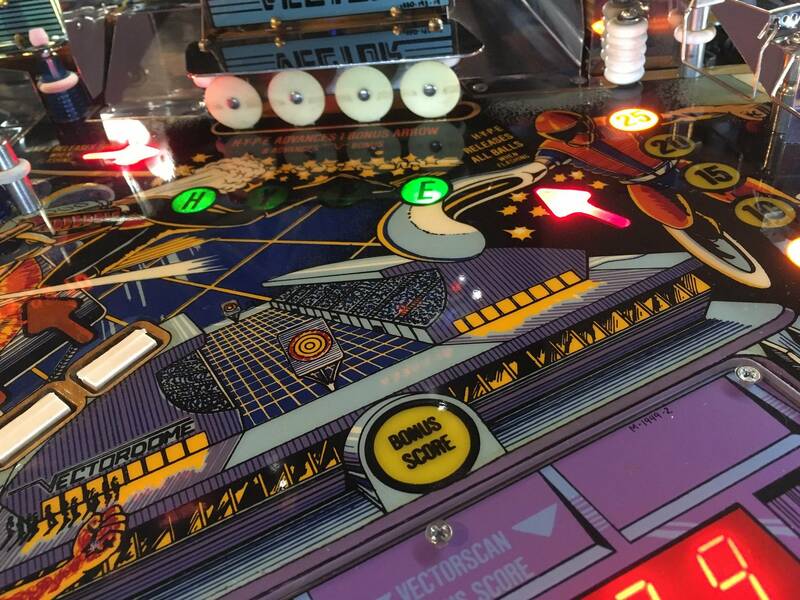 IIRC, the manual shows a regular flipper up there but none were ever shipped that way, or at least that's what I remember. 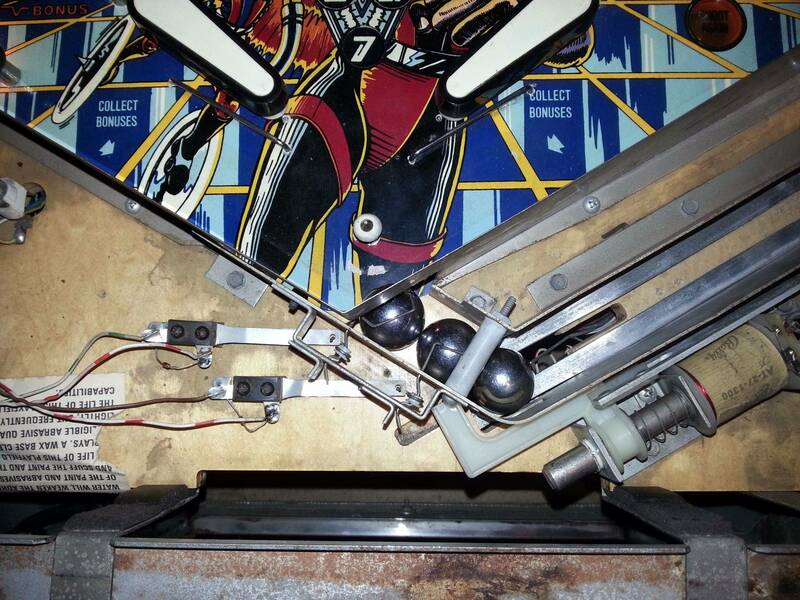 On mine that upper playfield flipper was exactly the same as the upper left, small EM style flipper with the word 'FLIPPER' molded in blue on the top. 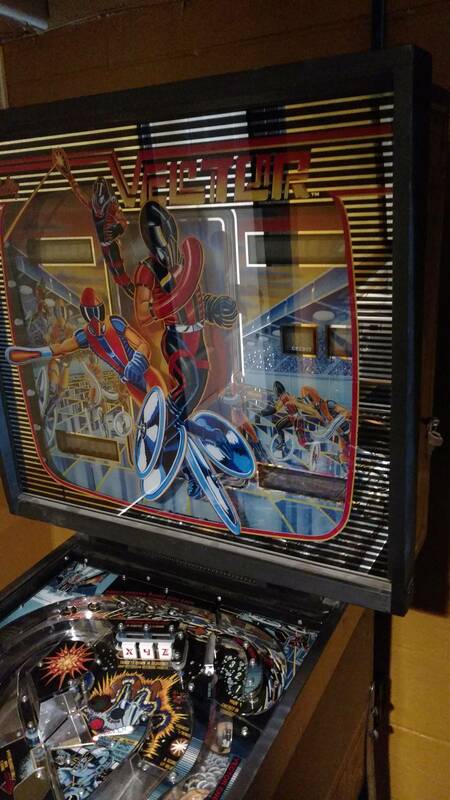 It's hard to see, but this is the only picture I could find of the game before I sold it. Getting a parts order together for PBr. I’m sure they have it. Anywhere to buy the original X Y Z targets? I don’t think pbr has anything but generic lettered ones. 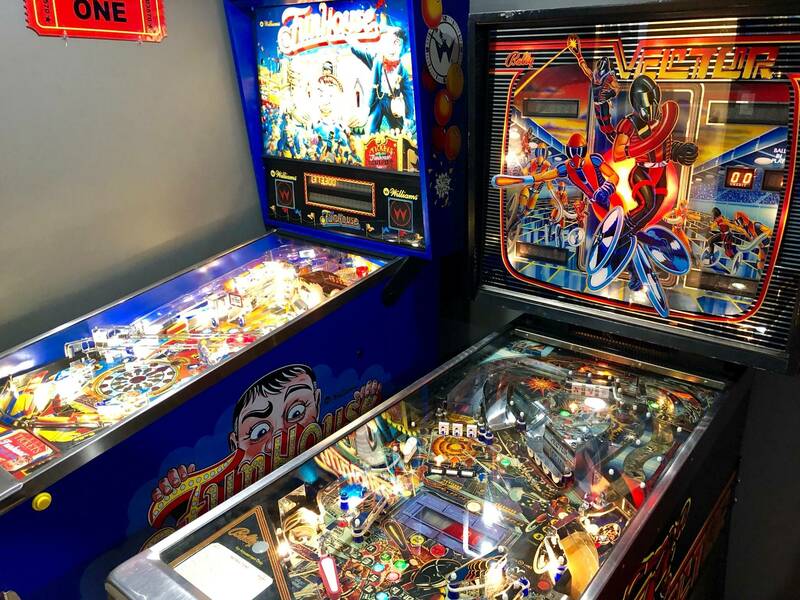 I had 4, always small flipper up top. 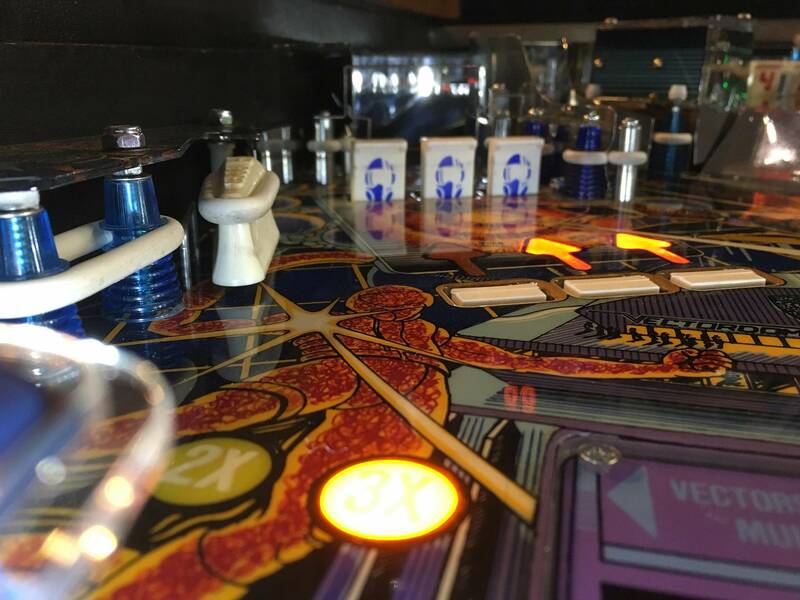 Anywhere to buy the original X Y Z targets? Marco has the entire set including the defender targets. Fortunately they carry the Y and Z target separately, but unfortunately not the X. So if you want those you have to get the defender ones too in the set. I ended up replacing all the targets in mine and they are nice targets that drop well and never bricked for me at all.